DaVinci Resolve sets a new standard for color grading and digital mastering, and is used on many of the most popular feature films, television shows, commercials, music videos, and documentaries you watch every day. 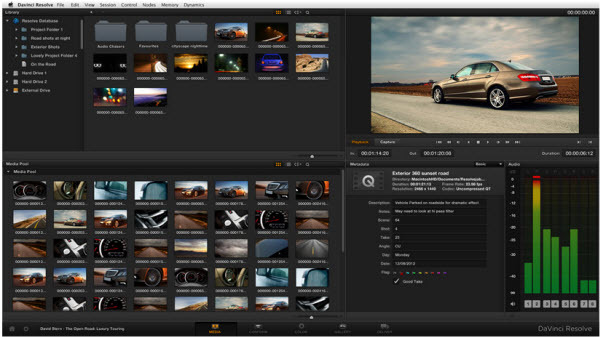 With an incredible range of digital film cameras available, DaVinci Resolve includes more native camera file support so you can grade directly from the camera files to get the best results. You can work in SD, HD, 2K, 4K and even higher resolutions. According to Blackmagicdesign, it supports “a huge range of file formats including CinemaDNG, DPX, CIN, QuickTime, DNxHD and native RAW files” with full de-bayer all in real time. So you see the problem – The Panasonic P2 footage, which is saved in .mxf container, is not listed as a supported media. Thanks to Pavtube MXF Converter for Mac, your P2 shootings now can be easily adapted to fit for the video processing in DaVinci Resolve. “Pavtube has been the only program out there that quickly and effortlessly converts my Pansonic P2 Footage to Avid DNxHD (mov) as a Digital Intermediate so I can import it into Davinci Resolve for colorgrading and mastering. As Davinci is extremely picky on what codecs it will accept as an XML from any non linear editor, Pavtube has become a vital part of my workflow.” -Quotes by a happy customer of the MXF Converter. If you are interested in how to get Panasonic P2 .mxf files into DaVinci Resolve preferred formats, go ahead to download a trial and follow the guide below for converting P2 MXF to DNxHD. 1. 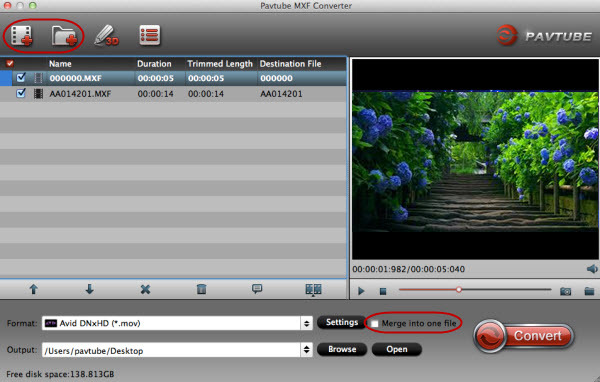 Download Pavtube MXF converter for Mac, and follow the prompts to install the program. When the installation is complete, Pavtube MXF to DNxHD converter will launch automatically. 2. Click “Add” to load MXF video files or directly drag the files into file list. By default, the files are selected. Tip: If you would like to join all the selected files together, check the box of Merge into one file. 3. Click “Format” bar to determine output format. 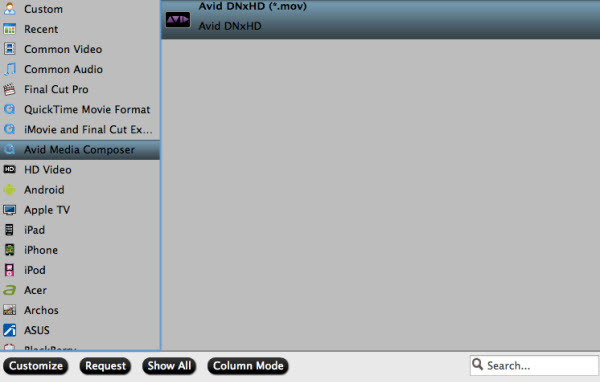 For best image quality, click the format bar and choose “Avid Media Composer -> Avid DNxHD(*.mov)” format. 4. Click “Convert” to start toconvert Panasonic P2 MXF to DNxHD video. You can set auto shutdown in progress window or leave it there and come back later. After conversion you could edit the converted videos in DNxHD 1080p video. Tip: You can click “Settings” if you’d like to customize advanced audio and video parameters like video Codec, aspect ratio, bit rate, frame rate, Audio codec, sample rate, bit rate, channels. Do not forget to click “OK” to confirm your settings. How to Convert MXF to ProRes, AIC MOV for Loading into FCP and iMovie? How to Transcode MXF to AVI Easily and without Quality Drop ? Fail to Import MXF Files into Premiere Pro CC 2015, Solved!